Now the time has come to start a campaign to submit to MHRD and Min. 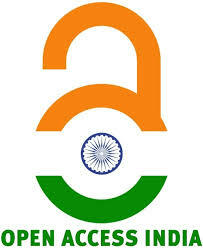 of S&T on National Open Access Policy. For that we need to build a momentum on what is Open Access and how it benefits all of us (science & society). In this regard, I request you all to please share your thoughts and messages on Open Access with the Ministers responsible. Please write to Hon’ble PM Mr. Narendra Modi (@narendramodi https://www.facebook.com/narendramodi and Hon’ble Minister HRD Ms. Smriti Z. Irani @smritiirani https://www.facebook.com/Smriti.Irani.Official). During the Open Access Week (http://www.openaccessweek.org/) celebrations world-wide (http://www.sparc.arl.org/initiatives/openaccessweek) , we shall submit a draft policy which was already made by our Open Access advocates like Mr. Subbiah Arunachalam and others). One point I like to add here which I think a great hindrance towards open access is the psychology of Prestige among scientists.With the advent data sharing we know, how research scenario has been changed. Many eminent scientists have preferential attachments towards some journals which are commercial and many of them intentionally spread a shadow of fictitious danger of OA journals. The provision of self-archiving is a really a solution in this case but in many cases it’s grossly ignored and many of them are not aware of the existence of instittutional repositories.Many institutes and universities also don’t have any repository.If there is a centralised repository which either can harvest all other instituitional repositories of the institutes or any one can directly submit their publication into that. Here is my concern – even if open access is mandated and archiving the print-form in the repositories is mandatory, who will keep track of that? If the scientists don’t archive their publications in the repositories who can keep track? While the case of tracking of publication, the policy makers must give a thrust to build a sophisticated information system integrated with citation databases(Scopus/Web of Science) from where we can get the publication details of indian authors and thus we can keep track of those who are not self-archiving. In India, many beautiful laws are there. But, making law and abiding by the law have always been a non-intersecting phenomena.As we all are advocating OA policy, we should also think how this would be successfully executed and also design a tracking mechanism. Tracking is also important because, it’ll actually save lots of foreign money. If policy is left to the choice and interest of public, the actual objectives will be shattered. Hope my point is rational.I am looking forward for feedback if I am mistaken. Anindya Basu thanks for your comment. Your argument is well taken. Yes we need to stress for the self-archiving which is the Golden route to Open Access. But as most of the research is public funded and making a law which makes all of the publicly funded research open access (self-archiving mode) would do more Good. Its my view as an advocate and practitioner of Open Access unless there is a mandate/law none of them are going to make their research outputs in Open Access. Here is the proposed OA policy for DBT and DST, Government of India. . Share your comments and suggestions.